Nothing beats the versatility and power of the 12 gauge. As the most popular shotgun in America, you can find ammo for self defense, hunting, and target shooting applications. From the late 1800's when it was invented until now, the 12 gauge has been a great choice for shooters and hunters alike. 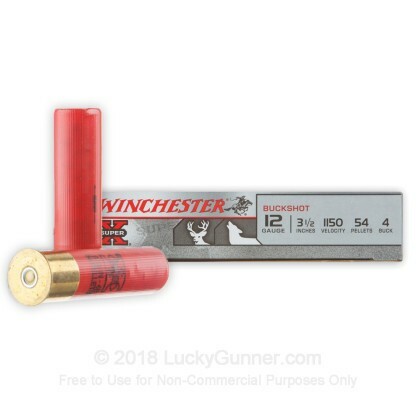 When you need high quality shotgun ammo, Winchester is the way to go. Winchester has been manufacturing high quality firearms and ammunition since 1866 and their ammo is made right here in the USA. 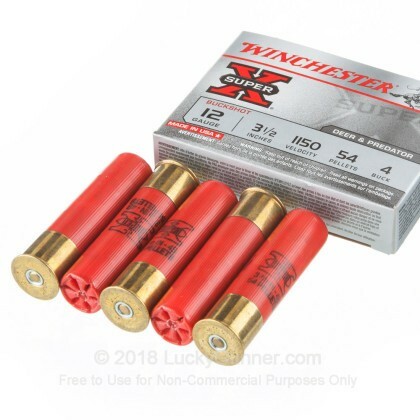 These Super-X, 3 1/2", #4 Magnum Buckshot rounds with 54 pellets from the Super-X line are a perfect choice for deer and predator hunting. With a muzzle velocity of 1,150 feet per second, these shells get the buckshot to the target quickly. 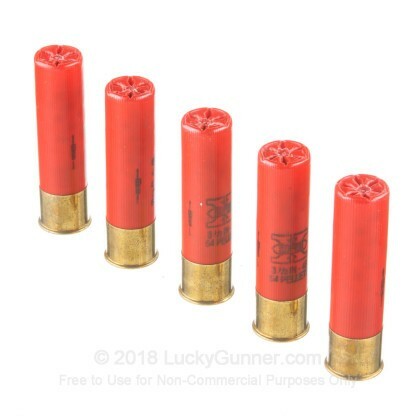 Pick up a couple of these 5 round Super-X shotshells and get out to the range soon! 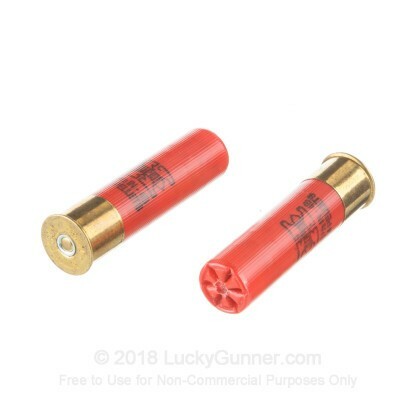 We don't have any reviews yet for this particular 12 Gauge ammo from Winchester. 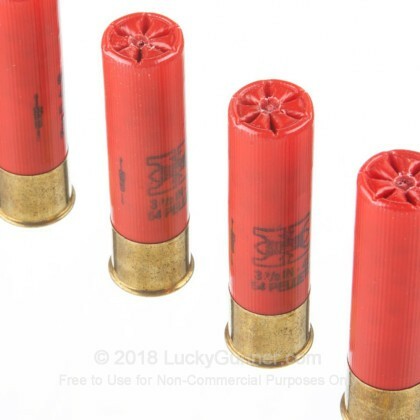 If you'd like to be the first to review this particular 12 Gauge ammo from Winchester, fill out the form below.